Velluto Caf within the PCEC is available for light meals. Located within the venue's main foyer on Level 2 and offering a light, stylish menu, Velluto is perfect for a leisurely meal. 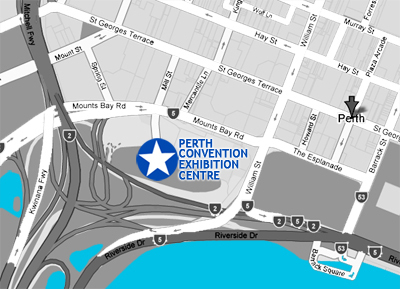 Velluto also serves as the Perth Convention and Exhibition Centre's internet caf.